Cape Town, Jan 1 Batsman Jean Paul Duminy has recovered from injury and has been named in South Africa’s 14-man squad for the three-match Twenty20 series against the West Indies starting Jan 9. The left-hander missed the ongoing Test series after failing to recover from a knee injury which he picked up on the tour of Australia last November, reports CMC. 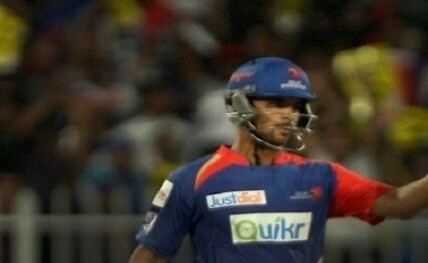 Duminy, 30, is a key member of the South African limited overs side, and has been active in the longer format, playing the last of his 27 Tests last August. He will, however, be rested for the first two T20s and will come into consideration for the final encounter. Duminy will be joined by left-arm spinner Aaron Phangiso who has been recalled to the squad following injury. However, selectors have rested Hashim Amla, A.B. de Villiers, Dale Steyn and Morne Morkel, with the five-match One-Day International (ODI) series against West Indies and the World Cup to follow. “Once again we are resting a number of senior players who are involved across all three formats,” Andrew Hudson, chief selector, said Thursday. Faf du Plessis, who hit a hundred in the just concluded Port Elizabeth Test, will take over the T20 captaincy. He will lead a squad that includes Reeza Hendricks, Rilee Rossouw and Kagiso Rabada all of whom recently made their debuts in this format. South Africa face West Indies in the opening game Jan 9 at Newlands, before playing the second game at the Wanderers two days later. The final game is scheduled for Kingsmead Jan 14. The squad – Faf du Plessis (captain), Kyle Abbott, Farhaan Behardien, Marchant de Lange, JP Duminy, Reeza Hendricks, Imran Tahir, David Miller, Wayne Parnell, Aaron Phangiso, Kagiso Rabada, Rilee Rossouw, Morne van Wyk, David Wiese.